Exciting news for lovers of the Goldfields Track! 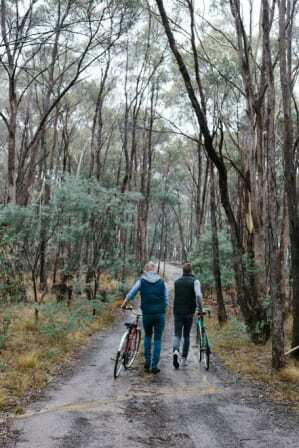 Every Saturday and Sunday during April and May there will be a regular shuttle service from Castlemaine to Daylesford, servicing both walkers and MTB riders. Castlemaine Railway Station at 11.00am. Depart Daylesford Visitor Centre at 10.15am and arrive Vaughan Springs at 10.40am. Depart Castlemaine Train Station at 9:00am and arrive at Daylesford Visitor Information Centre at 10am . Depart Castlemaine Railway Station at 9:00am and arrive Vaughan Springs at 9:20am.